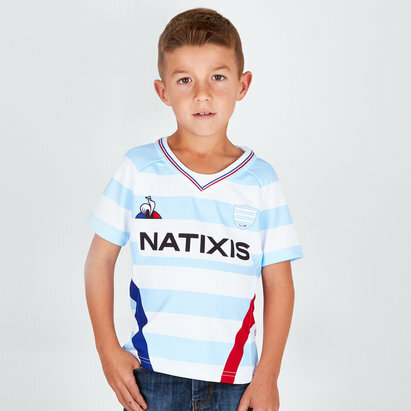 Show that you're a true sky blues and whites fan in this Racing 92 18/19 Alternate S/S Players Replica Rugby Shirt from Le Coq Sportif. 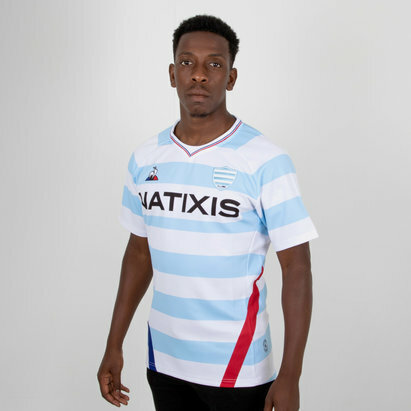 This shirt is grey with sky blue slashes at the bottom of the shirt, still giving a nod towards the club's traditional colours. The slashes on this shirt are used to match the ones on the home shirt. The collar of this shirt uses the colours red, white and blue in thin lines which is a nod to the French flag. 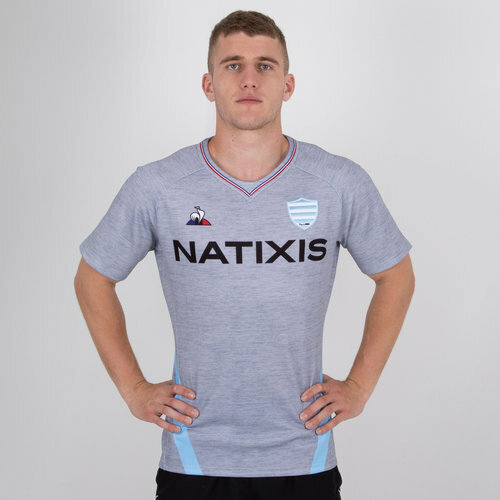 The LCS logo is on the right of the shirt whilst the club badge is on the left but at the bottom of the shirt. 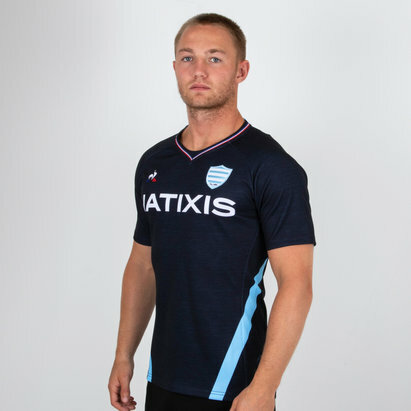 The club's sponsor - Natixis - is across the middle.